Ai-jen Poo, an activist who has collaborated with the Times' Up movement, writes that Alfonso Cuaron's film premiering on Netflix today explores the intimacy and vulnerability that every domestic worker experiences. When I emerged from the theater after seeing Roma, the new film by Alfonso Cuaron, I couldn't speak. For the past 20 years, I have worked alongside domestic workers — the nannies we entrust with our children, the housecleaners who bring sanity to our homes, and the caregivers who care for our disabled and elderly loved ones. From the beginning and to this day, one of the greatest challenges has been helping people see and understand the unique and complex nature of their work. With Roma, Cuaron captures the reality and brings our families and relationships into focus in an unprecedented way. 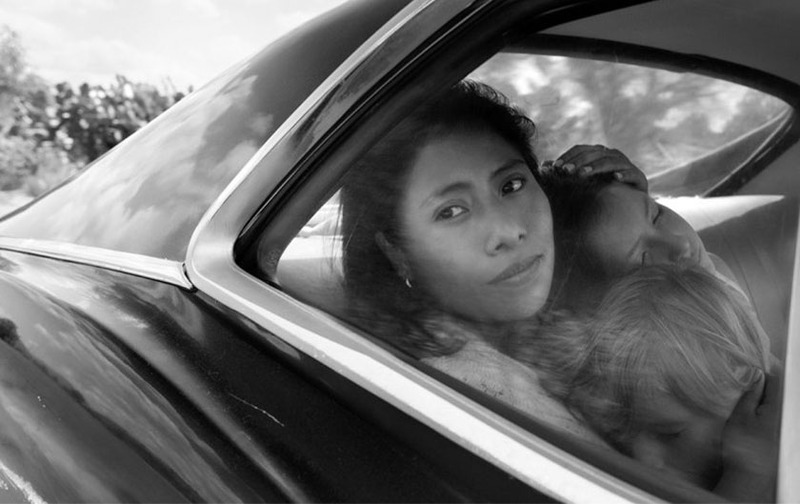 Roma centers on the story of Cleo, an indigenous woman who works as a live-in domestic worker for a middle-class family in 1970s Mexico City (Cleo is played by Yalitza Aparicio, who herself comes from Mexico's indigenous community). Cleo's life is full of the complexity every domestic worker experiences: She is both part of the family and not, her relationship with her employer is both intimate and distant, and she is both vulnerable and powerful. We see her as she works — sweeping the driveway of dog droppings and gently singing children to sleep, and also in ways that we don't commonly see domestic workers, as she makes a date with her first love, exercises by candlelight at night, gossips with her friend, and experiences the most profound forms of loss imaginable. Read more.